Tired of passwords, log-ins, and "readmore" links? Switch to a PDF or Combination Electronic/PDF Subscription..
Casanova Master Joyce Fendley and huntsman Tommy Lee Jones were honored by the Virginia House of Delegates in Richmond. 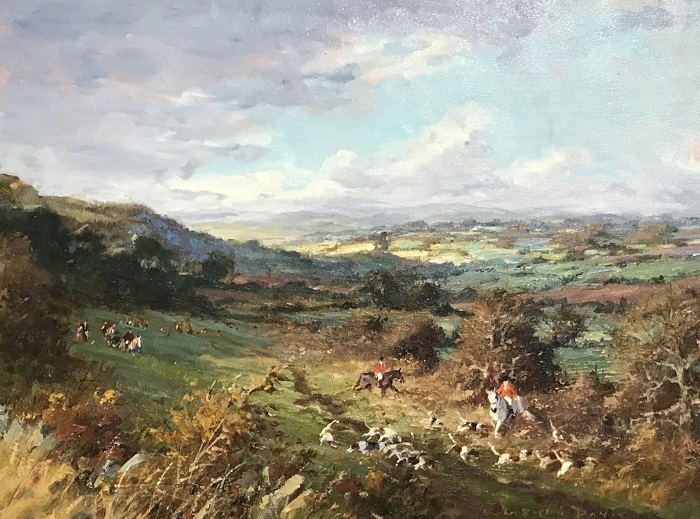 On February 1, 2019, Representatives of The Virginia State Legislature approved a Resolution commending the Casanova Hunt in Fauquier County on its 110th anniversary. Casanova’s history and contributions to the land and the community were noted. A second Resolution recognized Casanova’s professional huntsman of forty-nine years, Tommy Lee Jones, for his contributions to hunting and showing in his Fauquier County community as well. Tommy Lee is the show manager for both the Upperville Colt and Horse Show and the Warrenton Horse Show. As foxhunters, we all look forward to Hunt Ball Weekend. For many hunts, it’s a time when the season is winding down, and we try to truly savor the invigorating mornings remaining of another season spent with our horses, hounds, and friends. Hunt Ball Weekend in Camden, South Carolina, is no different. 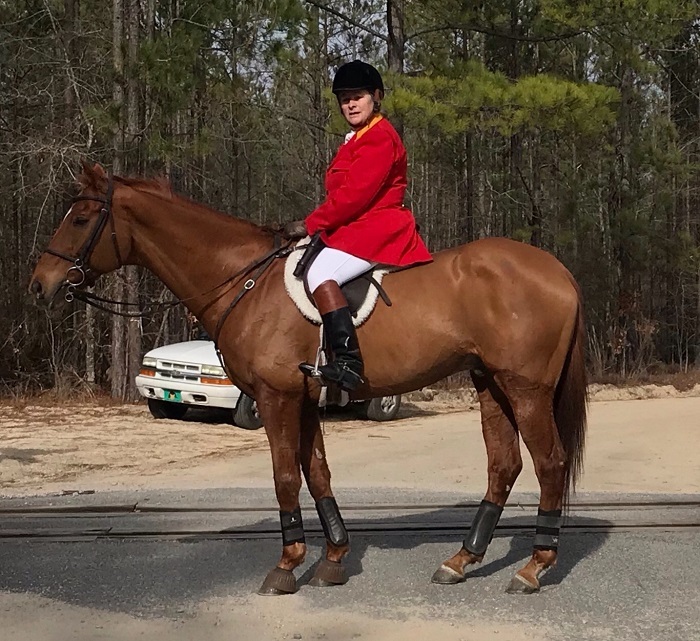 This year, however, we spread the enjoyment more than a little by inviting Fred Berry, MFH and huntsman, Sedgefield Hunt (NC), his hounds, and the Sedgefield members to join us. We spread the fun with three days of things to do and places to go—two hunts, one for each pack, and a hunt ball. As the end of the season approaches, it has not come soon enough for some East Galway followers. 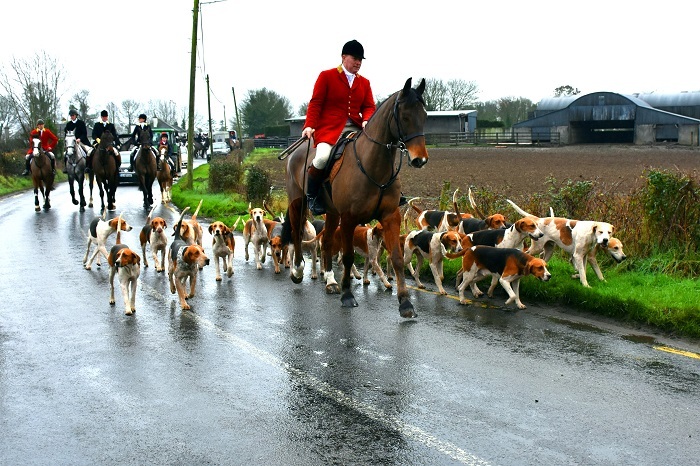 The hunt could open a hospital casualty ward what with old foxhunting injuries resurrecting themselves—niggling joints, dodgy knees, frozen shoulders, and sore hips. Joint-Master Joe Cavanagh has just had knee surgery, and remarkably he was following by car a few days afterwards. One hunt follower I met was walking very bandy, like a jockey, and he admitted that he would definitely not be able to block a terrier in a corridor! But the East Galway followers are made of stern stuff and despite their temporary handicaps they all look fine when mounted on their hunters! To further compound matters, some of the hunt horses also need rest. But East Galway has a reputation for producing top-class show jumping and eventing horses, and despite their value they are not being kept in cotton wool; they are being called into action to get followers to the end of the season. No doubt a bit of serious hunting will sharpen them up for the competition season. It was the first day of our annual Joint Meet weekend with the Shakerag Hounds (GA), and we had just unkenneled 22-1/2 couple of hounds. Whipper-in John Bell had already left—standard operating procedure—to get into position for the draw and viewed the coyote away even before we put hounds in. Tally Ho Lake is in the southeast corner of our hunting territory, where only two herds of cattle remain in our entire country. The next time you view old Reynard or that sneaky coyote slipping away from covert, you may be tempted to call out “Tally Ho.” There are occasions in the hunting field when it is appropriate to yell this call out loudly-and-clearly, but with our modern methods it is more likely that the huntsman will be informed by a whipper-in with a quick call over the hunt radio that the quarry has broken cover. 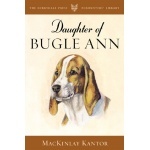 The quiet approach will be less disturbing to the hounds but it will not stir the adrenaline like the old-fashioned blood-curdling call of Tally Ho, yelled out loud at the top of your voice! Such an old-school call in the hunting field causes the mounted field to take in that extra hole in their girth, to cease “coffee housing” with their companions, and for the horses’ ears to prick forward in anticipation of exciting action to come.